In car video from John Baucom’s #86 Baucom Motorsports/Roadraceparts.com Mustang. Video from John Baucom’s #86 Baucom Motorsports/Roadraceparts.com Mustang during the 2012 Road America Trans Am race. Mosport Trans Am 2012. Footage from John Baucom’s #86 Baucom Motorsports/Roadraceparts Mustang. In car video of the 2012 Road Atlanta Trans Am race. View is from John Baucom’s #86 Baucom Motorsports/Roadraceparts.com Mustang. Talking to the team before practice at Mid Ohio they were cautiously optimistic. They feel that the track was one where being down in horsepower wouldn’t be as much of a disadvantage as somewhere like Road America. However from the very beginning the car had a significant push. They would struggle with this all day Friday. First order of business was to try to balance the car. To do so they took a little wing out, which required drilling new holes in the mounting brackets. Then a rear spring change was made to try to correct the push issue. But neither issue corrected the problem. All during practice the team had been running on used tires, which may have masked part of the problem. For qualifying a new set of tires was mounted and the car picked up some speed. Unfortunately everyone else did also and John qualified sixth fastest. Ahead were the Corvettes of Tommy Drissi, Doug Peterson, Simon Gregg and Amy Ruman. Cliff Ebben qualified 5th taking the honor of fastest Ford. The push was still there, but this time a “clicking” in transition was heard, which would have to be addressed. On Saturday morning, the first order of business was to inspect all the heim joints for play. Once that issue was solved a radical spring change was made in a last ditch effort to cure the push issue. Of course the results wouldn’t be known until the race. Rather than go into a lengthy report on the race suffice it to say that John was able to finish 4th. One more restart, which didn’t happen as they couldn’t get Amy Ruman’s car out of the sand trap in time, may have allowed him to make a run at the 3rd place finisher. But it didn’t happen, so be it. Great race, and the dicing at the front was serious but clean. If you get the chance be sure to go out and check out the Trans Am series. Good racing and it offers something that few series do. This is the in car camera video from John Baucom’s #86 Roadraceparts Mustang during qualifying for the 2013 Road Atlanta Trans Am race. Some of us can remember when 300 Horsepower was a lot for the street, even some pretty exotic cars were fairly hard pressed to meet that number. But in case you haven’t heard time isn’t the only thing that has moved on. The car in the picture was my first GT1 car. It had about 550 HP, on its best day, back in the late 80’s. Not bad for a club racer but its 351 engine was almost certainly the best thing about it. The professionals however wouldn’t have considered it. 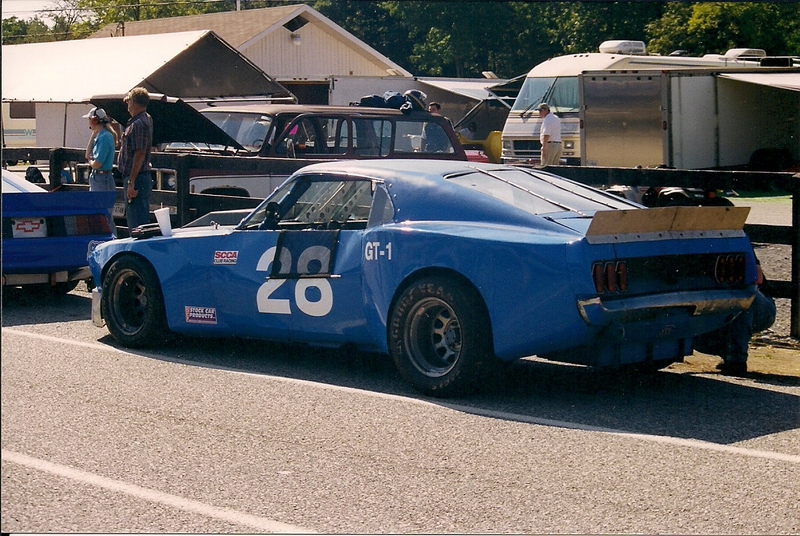 By the time the second coming of the TransAm series ended they were running 310 cid engines with rev limiters. These engines were, at least for those at the front end of the pack, in excess of 700 horsepower. But now things have really changed. The 310 has gone the way of the dinosaur, replaced by the 358 cubic inch V8’s. Initially a lot of these were refugees from Nascar. Bought for less than one could build a 310 and producing big horsepower numbers. 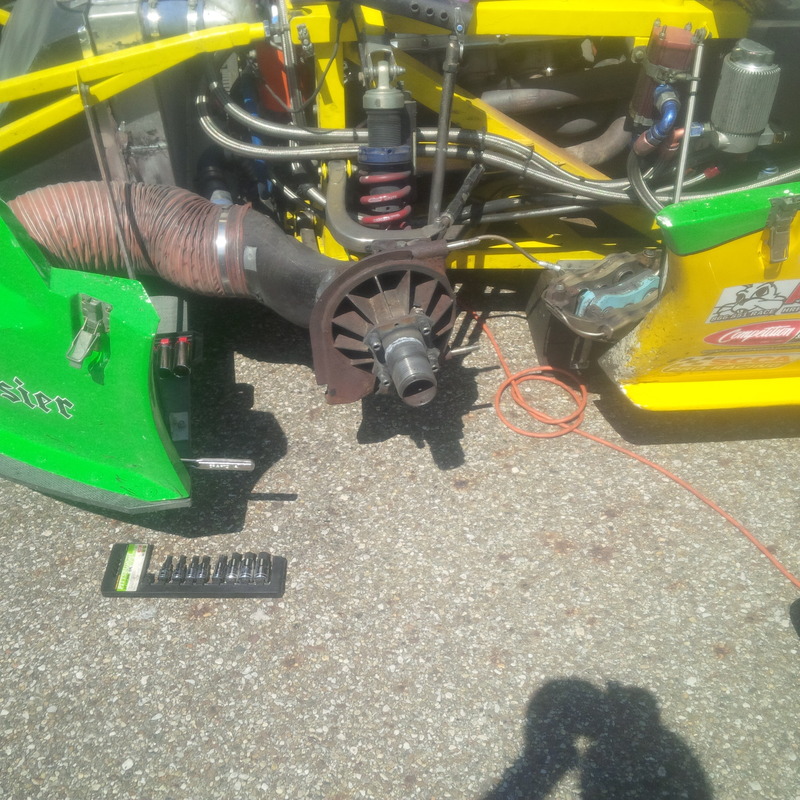 Initially some people just changed the cam, and maybe something with carburetion and exhaust and went racing. Worked pretty well and now the horsepower numbers were over 800. But today the bar has been raised again. Some people have realized that an engine built purposely for road racing will out perform a converted stock car engine. This despite the fact that the horsepower numbers are the same. And what are those numbers today? One racer who reportedly has about 830 HP told me recently ” I can’t pass them (the top cars) on the straight, but they can pass me.” His opinion is that he is 30 horsepower shy of the top cars. So times have changed my friend, times have changed. We now produce two new products, wheel safety clips and dashboards. This marks our initial foray into manufacturing our own material. Both will be used on the GT1 Chassis that is being built by Mark. The safety clips as most know are an important safety device which prevents the wheel nut from backing off on centerlok equipped cars.Which as anyone who has had a wheel run off knows can get exciting quickly. Previous the have been a wide variety in quality and dimensions in these relatively simple parts. 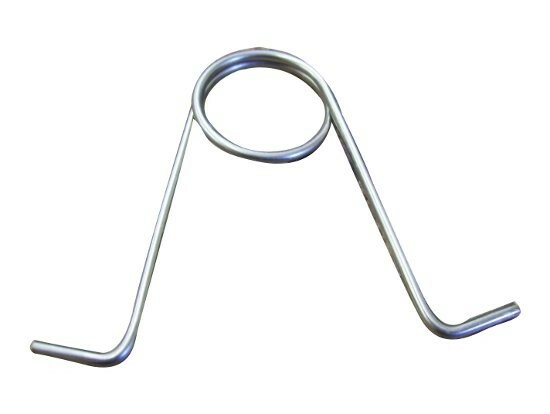 We address that by having all clips 3.50″ inches long and made of 304 stainless annealed wire. That prevents the wire from cracking or kinking at the bends. In addition the spring rate is slightly higher than some of our competitors. Give us a call at (804) 921-0902.